Taking a pet for a walk……. Walking at Kippford. Well, got some combining done in Yorkshire and we have been efficient at having it delivered up here to stock up for Winter. 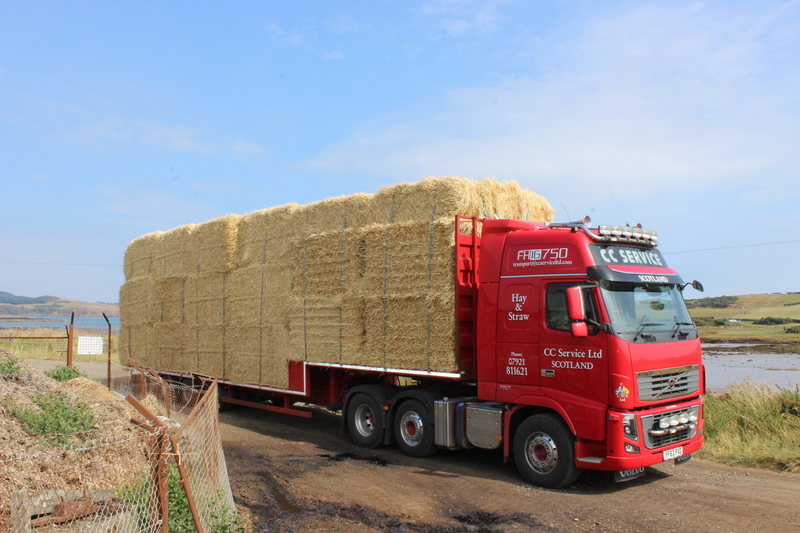 Barley straw is used for both feed and bedding up here on the farm. The cattle enjoy the roughage of it mixed and chopped up in with the silage, as well as snuggling up in it for warmth on those breezy winter days.